Los Angeles Yacht Club event breaks open 2018 racing calendar. SAN PEDRO — Southern California sailors will race across this channel as the 2018 Midwinter Around Catalina Island race returns to San Pedro and Los Angeles Yacht Club, Feb. 3, 2018. All yachts with a current Southern California PHRF handicap are eligible to compete in the regatta; the entry fee is $80. The race will start at 11:55 a.m. (first warning signal) inside Los Angeles Harbor, about three-quarters of a mile from Angels Gate. Sailors will then navigate into Catalina Channel and head toward the island to port, and return to San Pedro for the finish. – Late entries won’t be considered without current PHRF certificate. Top performers will receive their trophies at the Los Angeles YC clubhouse during a hospitality event held Feb. 4 at 5 p.m. The top overall winning yacht on corrected time (PHRF) will be awarded the Mayor Norris Poulson Trophy. 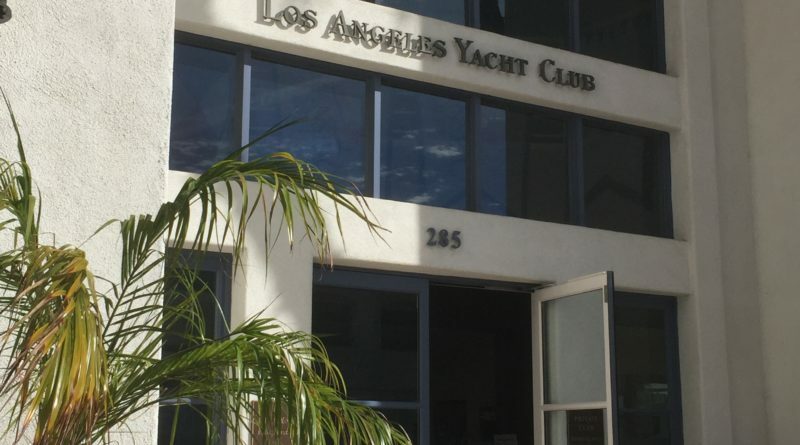 Limited berthing is available at Los Angeles YC; please contact the club for further information. The race committee chair is Kevin Heffernan. Call 626-255-1856 or email racing@layc.org for more information. All entries for the regatta must be received by Feb. 1. Los Angeles YC is located at 285 Whaler’s Walk, San Pedro.